Today we have a celebration of Ramnavami , since my child hood my mother was making some traditional recipes for Ram Navami . Of them she makes Gram Dal Usal, Mango Pannaha , Dhapate is the welcome food for today’s Navidyam . My mother was making Gram dal chutney but here in my home no one is eating that chutney so I would have to make green chilly chutney. Along with Khichadi . 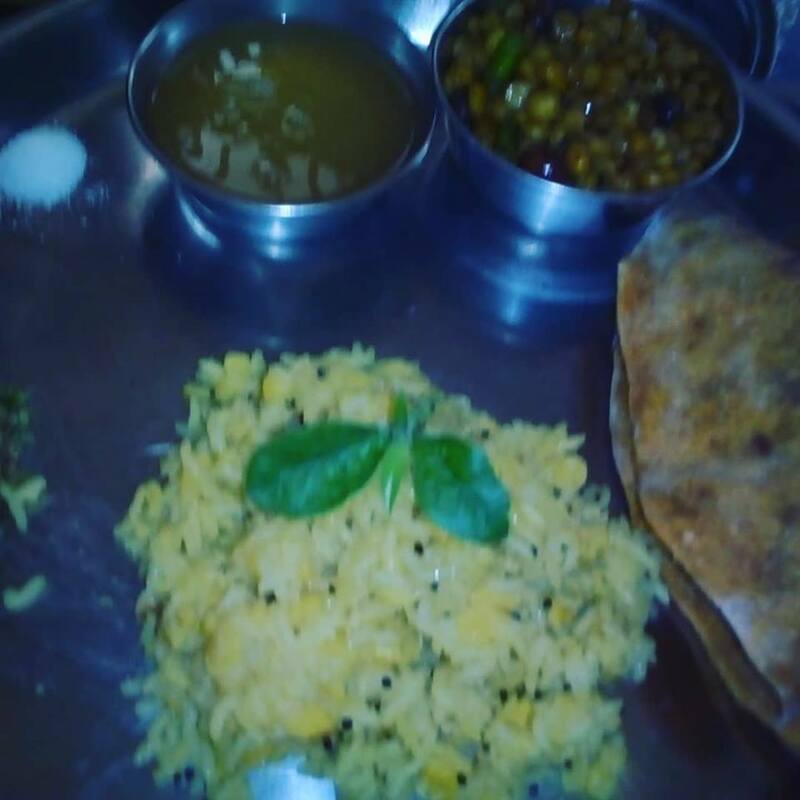 We make gram dal Usal by adding small pieces of raw mango & green chilly . It gives very nice taste. 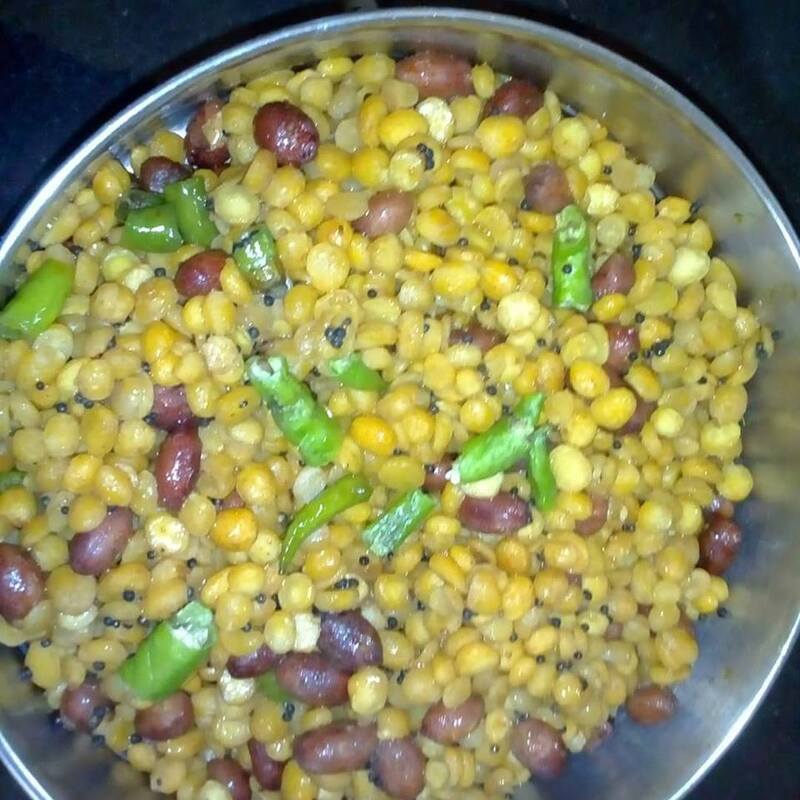 Generally, Gram dal give very nice taste in any food it contains more proteins which can make good tasty food items . Let us see how I made today’s recipe . PROCEDURE FOR IT : Take the raw mangoes, keep it to boil. : Remove its peel & throw outside. : Remove its inside part , keep it in the juicer, add grated jaggary, salt, sugar, cumin powder to it . : Add given amount of water to it.& Blend it in the blender for 2 min. Well prepared Pannaha is ready to serve . PROCEDURE FOR IT : Take the all flours in a big thali . : Add chilly powder, turmeric powder, ajawine powder, cumin powder & salt to it. Mix the all material carefully . Knead it perfect with water. : Apply oil on the hand & knead it smoothly. : Bake it on both sides by applying oil. Keep the dal for soaking at night . Remove its water & keep in the sieve for draining water . add cumin seeds, mustard seeds & wait to splutter. Add peanuts & fry it well , now add drained soaked dal to it . Add chilly powder, salt, sugar, cumin powder, turmeric powder, lemon juice, pieces of green chilly, & raw mango & stir it well. : Well prepared Dal is ready to serve . 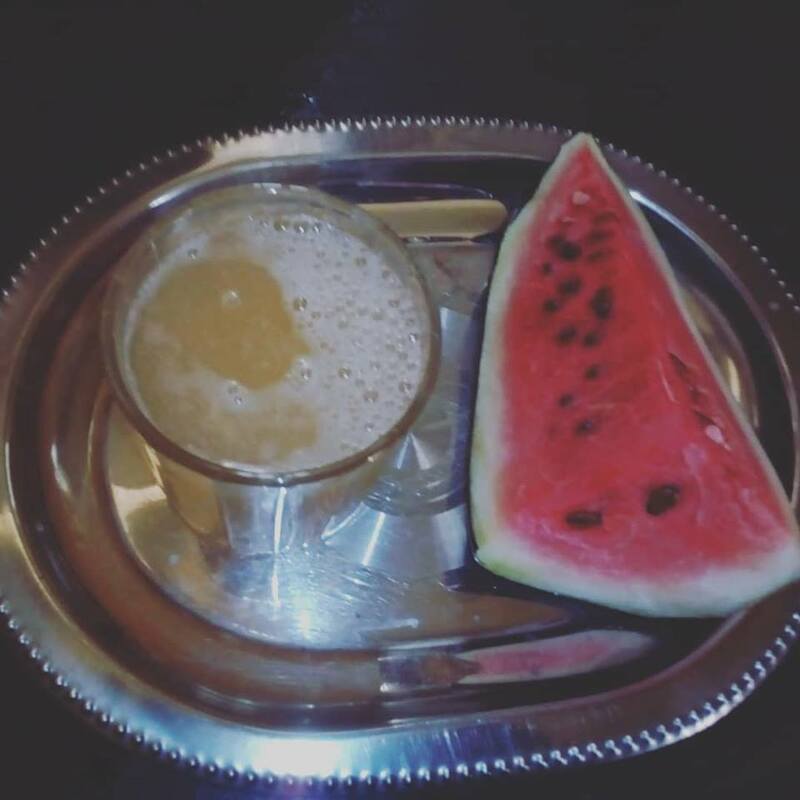 Previous Post Chikoo Milk Shake ,Fasting [Vrut]Recipe, Navratri Special – Milk Shake Recipe.